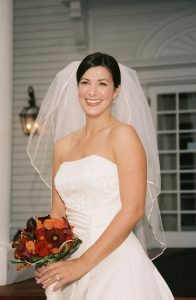 Mobile Hair and Makeup Artist | Who is The Ideal Wedding Makeup Artist? A wedding ceremony is valued and celebrated all over the world. This is the time when friends and family come together to mark the beginning of a new family. During this time, the centre of attraction is always the bride. People tend to concentrate more on the bride, and therefore, she needs to have the best appearance to avoid disappointing the congregation. Wearing the best look means everything from the wedding gown, the hair, and the overall makeup should be perfect. Those who realise the importance of a beautiful dress will go ahead and purchase or hire the best wedding gown for the bride. However, what they usually miss is that wearing the best gown without good cosmetics means nothing. Therefore, besides buying the best wedding gown, bridal makeup should also be given a lot of attention. When it comes to bridal makeup, the best thing is to look for professional wedding makeup artists to achieve the best results. They have the training and experience, and so they can guarantee the best looks for the brides and other close members of the family. But how do you get the best wedding makeup artist? Well, it’s very easy. You can start by talking to your friends who have wedded lately and ask them to recommend you to the makeup artist they used. If they were happy with the services offered, they would obviously refer you. Also, you can make use of the internet and read reviews to find a makeup artist and in your area that can be trusted. Do you offer makeup trials? A makeup trial is done before the wedding day. The wedding makeup artist will try different products and makeup techniques to know what will look best for you on your wedding day. The makeup trial should not be expensive; it should be affordable as you may need to try several times before getting the best look. Also, be sure the artist knows all that you will wear on your big day like the colour and design of your gown, the jewellery, etc. Do they offer mobile makeup services? On your big day, the last thing you need is to move from one salon to another for the makeup. Therefore, always consider a mobile hair and makeup artist as they can come to your home and have all the makeup done which is convenient. Also, with such a makeup artist, you can have all your family and anyone that needs makeup attended to in one location which is the bride’s house. With such a makeup artist, you minimise your stress on the big day.